photo: Part of the team enjoying beers in Tehuacan before heading to Santa Ana for the 2016 expedition. Photo by Chris Jewell. Andreas started his caving career in the Junee-Florentine in Tasmania which is seen by most as Australian’s most challenging caving area. He has since been caving and cave diving on several big expeditions in Mexico and New Zealand. In 2015, Andreas and Zeb Lilly led a successful push in Sistema Huautla to explore beyond several sumps in Redball Canyon. This trip involved several sustained camping trips underground, daily commutes through several sumps, and multiple aid climbs to work from a depth of 750 meters towards the surface. It was on this expedition that those two decided to restart efforts to connect sump 9 in Sistema Huautla to its resurgence, which led to the Huautla Resurgence Project with its first trip being the 2016 reconnaissance trip. If Andreas is not in a cave he explores deep reefs off the coast of Tasmania (see here). climbs and exploration beyond multiple sumps in San Agustín in 2015. Chris has organised a number of successful caving diving expeditions including two recent projects which involved diving at the bottom of very deep vertical caves. Most notable was the 2013 expedition to the Huautla cave system in Mexico which established the cave as the deepest in the Western Hemisphere. The 7 week long adventure involved assembling his diving gear on a perilous platform suspended over a deep swirling pool, towing camping supplies through a 600 meter long underwater tunnel, sleeping underground for up to 10 days at a time and making decompression dives at a point once called the “most remote yet reached inside the earth”. Connor can regularly be found caving across the UK. In 2013 he joined the expedition organized by Chris Jewell to the Huautla cave system in Mexico. In 2014 he was the main organiser for an expedition to the famous Gouffre Berger cave in France. He was lucky enjoy to join the Imperial College Caving club in London on a major expedition to Tolminski Migovec in Slovenia where he explored remote parts of the Migovec system. He started with cave diving in 2012 and has been very active in the UK and southern France since. Gilly started dry caving in California in 2011. She first got involved with the deep cave systems of Oaxaca, Mexico by participating in the J2 2013 expedition. Since then she has been heavily involved in the exploration of the La Grieta section of Sistema Huautla (2014, 2015, 2016, 2017), where she organized several pushes that ultimately extended the depth of the cave by bolt climbing upwards to potential higher entrances. 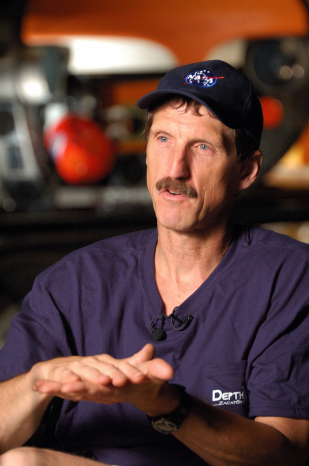 Gilly has also joined expeditions in Slovenia, Austria, France, and Guatemala, and is involved in numerous caving projects in the United States. Gilly is a newly minted cave diver, with the 2017 Huautla Resurgence being her first cave diving expedition. She is looking forward to more. Max was interested in caving from a young age fortunate to have a Maths teacher providing an alternative option to traditional school sports in the form of caving trips on Wednesday afternoons. Matt has participated in caving projects throughout the southeastern US and Mexico. Matt was the youngest certified cavern diver in the US at 13 yo and began dry caving the same year. 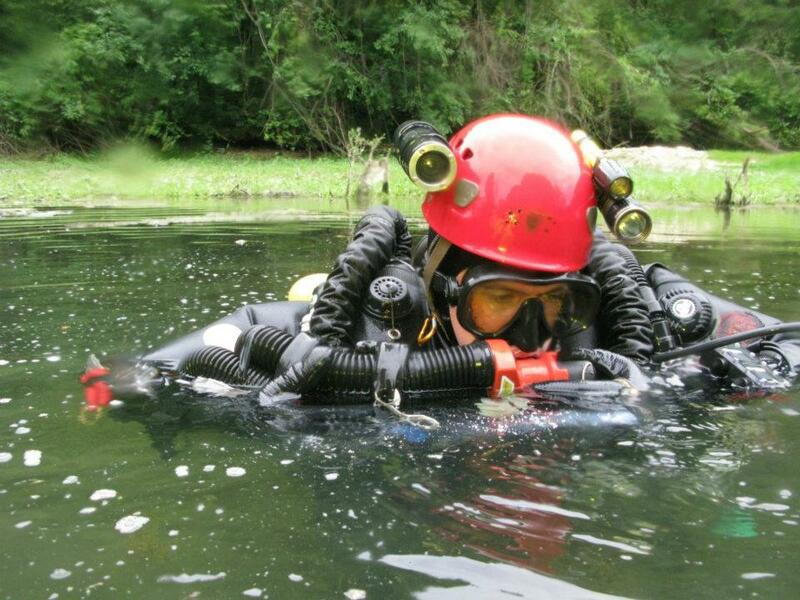 He built his own sidemount gear and began sump diving in the US in 2001. Matt became involved with Karst Underwater Research in 2011 and had been specializing in deep, long range, rebreather dives ever since. Matt joined the Huautla Resurgance Project in 2017. Charlie Roberson is an attorney who lives and practices law in Gainesville, Florida. Charlie learned to dive in 1991 and has been cave diving since 1997. Along with his regular dive buddy, Jon Bernot, Charlie currently holds the world record for penetration in an underwater cave at 8,208 m / 26,930 ft. Charlie is a Director of Karst Underwater Research (KUR) and has participated in numerous KUR exploration and survey projects, including Weeki Wachee, Manatee Springs, M2 Blue, Phantom Springs, Falmouth-Cathedral, and Lineater. 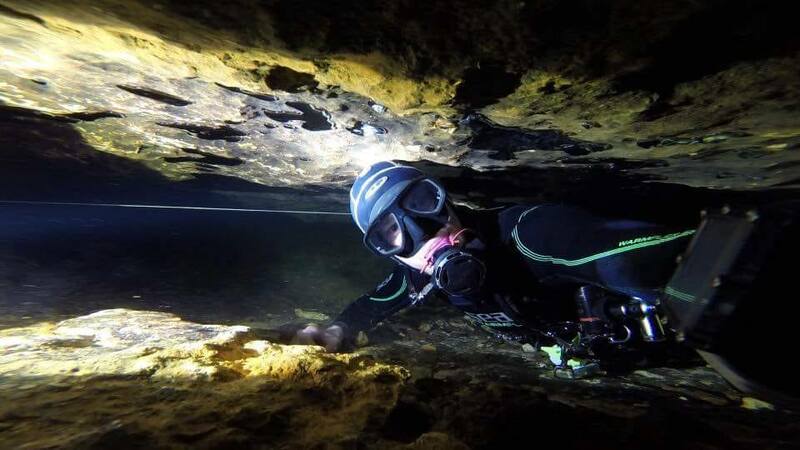 Charlie also serves as the Preserve Manager for the National Speleological Society’s Mill Creek Sink Preserve and as the Diving Coordinator for Florida Speleological Researchers’ Diepolder cave system. Kyle is an IT specialist and native Floridian living in the Orlando area. An outdoors enthusiast and Eagle Scout, Kyle began scuba diving at age 12 and has enjoyed caving, diving, hiking, camping, and climbing his whole life. Kyle is actively involved with Karst Underwater Research and participates in numerous exploration and survey projects throughout Florida. Teddy Garlock is a sump diver living in upstate New York. 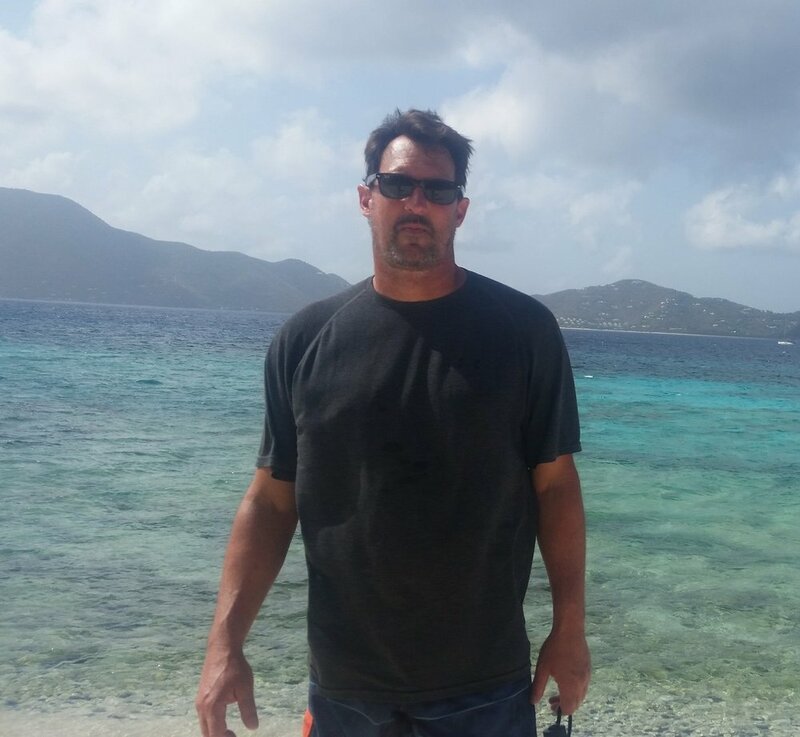 Teddy began SCUBA diving at the age of 13 and has been actively involved with cave and sump exploration in the northeast United States for several years. Teddy enjoys dry caving in the northeast with frequent trips to Florida to cave dive. When above ground Teddy works full time as a Paramedic. Teddy also enjoys long walks on the beach, steamy romance novels and the color pink. For the past 12 years Adam Haydock has been documenting and exploring karst regions within the Americas through the means of cave diving, climbing, and managing projects that rendered successful connections of caves with scientific significance. Adam’s photography and survey contributions has helped numerous government institutions, universities, museums, and Geographic Societies, document newly unexplored regions within the subterranean America’s. Some of these expeditions include the rare discoveries of minerals within acidic and volcanic caves of Costa Rica, sump diving in the deepest cave in the western Hemisphere located in Mexico, re-survey of archeological caves of Belize, connecting caves into one of largest subterranean rivers in the world located in Puerto Rico, and exploration within the United States, including sump diving to connect remote caves and exploration within the caves of the Grand Canyon. Jon Lillestolen has been exploring caves for over 20 years and has participated in original exploration in the United States, Spain, Costa Rica, Puerto Rico and Mexico. He has participated in expeditions to five 1000 meter deep caves in Mexico and has been on beyond-sump camps that extended the depth of Mexico's two deepest caves, Sistema Huautla (-1560m) and Sistema Cheve (-1487m). Dave and Sandy are a buddy pair that have being diving together almost exclusively since commencing cave diving in the Mount Gambier region of Australia in 1993. Since then, the introduction of mixed gas diving and closed circuit rebreathers has seen them dive some of the deepest and longest caves in Australasia and China. Over the past five years, Dave and Sandy have been heavily involved in dry caving and sump diving, including a trip to San Augustín, in Mexico, to explore undived sumps in Red Ball Canyon. Currently, they can be found either exploring the numerous sumps of the Elk river system in Buchan, Australia, or the Junee cave systems of Tasmania. No expedition as challenging as "The Huautla Resurgence Project" would work without a great support team. In both 2016 and 2017 we were lucky to have Ernie Garza and Alejandra "Alex" Mendoza with us on site, with Bill Stone helping us with logistics, information and gear. Ernie Garza (USA) is a Texas-based caver with many decades of experience caving in Mexico and fluent Spanish skills. Ernie traveled to Mexico several months in advance of the 2016 expedition to deal with the local politics, cave access and to organize accommodation. He then joined the expedition to make sure the political side of the trip went smoothly. Alejandra "Alex" Mendoza (MEX), a student from Mexico City who recently started caving, was also essential help on the 2016 and 2017 trip. She helped us as a translator, cook, and was essential as a link between the cavers and the locals. Without Alejandra, we wouldn't have developed a great relationship with the people of Santa Ana Cuauhtemoc who ended up inviting us back in 2017. The team also heavily relies on the help from Dr. Bill Stone (USA), who led all previous expeditions into the remote Santo Doming Canyon before the San Agustin trip in 2013. Bill supplied us with large amount of information collected over decades of caving in Sistema Huautla and also lent us large amounts of diving gear which would be logistically challenging and expensive to ship from overseas.